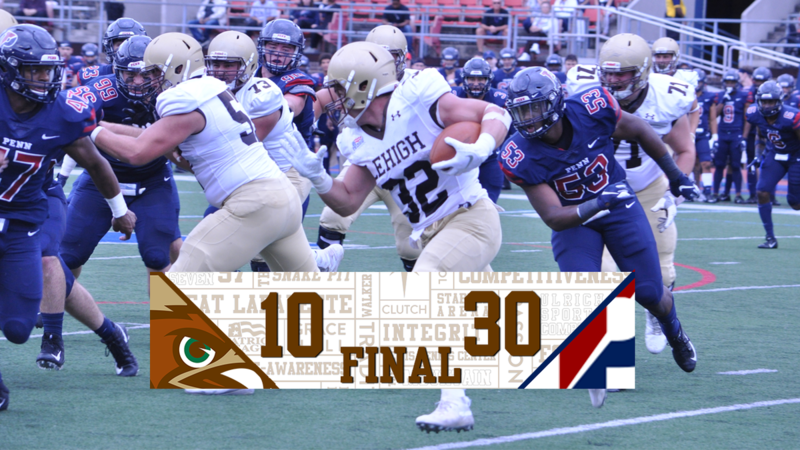 It was a battle in the first half between Lehigh and Penn. The Quakers were leading, 13-10, and senior QB Brad Mayes were getting the ball back after the second half kickoff. In most years, that’s when the Lehigh football team would be ready to engage in a shootout, perhaps dueling touchdown for touchdown. 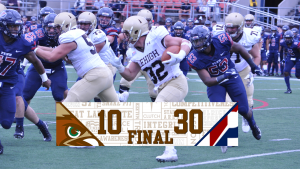 Instead, the Mountain Hawks were never able to get any momentum on offense and ended up getting shut out during the second half. “That was a lot closer game than that final score,” Penn head coach Ray Priore said afterwards. Last season, Penn RB Karekin Brooks had over 280 all-purpose yards in a monster performance against the Mountain Hawks. At halftime he had a grand total of 53 yards rushing and 2 touchdowns, but he saved his final act by breaking loose for a 75 yard touchdown run to total 186 all-purpose yards. “I started getting in a groove and started seeing things better in the second half,” Brooks said in the post-game press conference. Lehigh had seven offensive drives in the second half. The most promising happened when Mayes found senior WR Sasha Kelsey on an apparent reception to Penn’s red zone, but after review it was reversed, and on the very next play an interception by Penn FS Jacob Martin made a possible rally into a turnover. Mayes was dogged by sacks and pressure – Penn, who had 10 sacks against Bucknell last week, seven this week – but Mayes, LB Mark Walker and Andy Coen were visibly frustrated after the game.